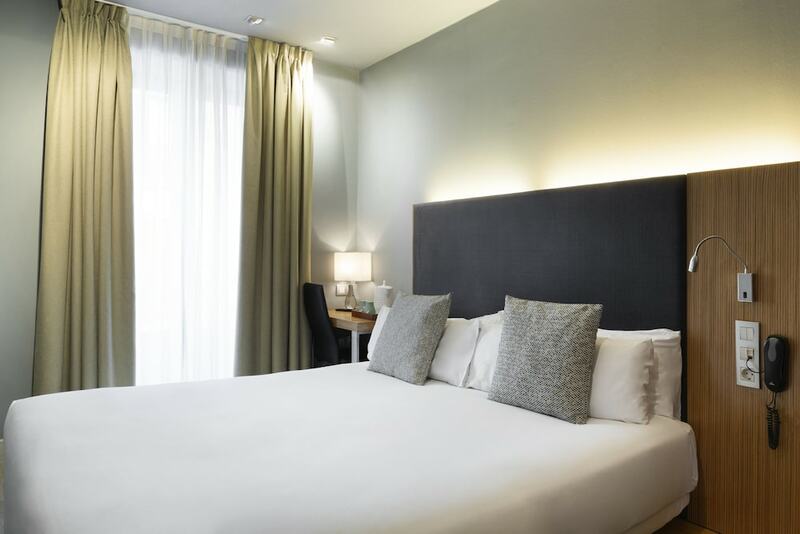 Hotel Petit Palace Tres Cruces is located in a street close to the famous Gran Vía, making it an ideal choice for exploring the city of Madrid. Its privileged location allows you to get walking to many attraction of Madrid. Near the hotel we find places like the Plaza de Cibeles, Plaza of Spain, Puerta de Sol, Callao and Atlantico. Hotel Petit Palace Tres Cruces is a modern hotel that was inaugurated in 2006 in its 53 rooms you can find spaces designed to relax and enjoy your stay in the city. Among the room types available at the hotel we highlight the family rooms and triple rooms, these rooms feature a surface area of between 20 and 25 square meters, making them perfect for families, also offer free breakfasts. All the rooms in Petit Palace Tres Cruces feature private bathroom, hairdryer, flat screen TV, free internet access, air conditioning and a safe-box to keep your laptop. The hotel offers services such as bicycle rental, pets are allowed. The hotel Petit Palace Tres Cruces is an excellent accommodation option in the capital of Spain due to its location in the center of the city, close to many of the most interesting attractions of the city and due to its different room options that make it the ideal accommodation for all travelers.